NASA ... Measuring and monitoring Earth's Vital Signs, a fleet of satellites, airborne and aligned ground-based observation campaigns... a "New Space-Earth Era"
"I am convinced that the same concern the youth of this nation took in changing this nation's priorities on the war in Vietnam and on civil rights can be shown for the problems of the environment. Successful teach-ins on all campuses on the same day will have a dramatic impact on the environmental conscience of the nation. They will be immensely effective as an educational effort in arousing public opinion..."
Recalling the beginnings of the "modern environmental movement" and "Whole Earth" awareness, GreenPolicy360 introduced "Planet Citizens" @ www.planetcitizen.org and www.planetcitizens.org. Planet Citizen action works to secure and protect our home planet in the 21st century and for generations who will follow us. 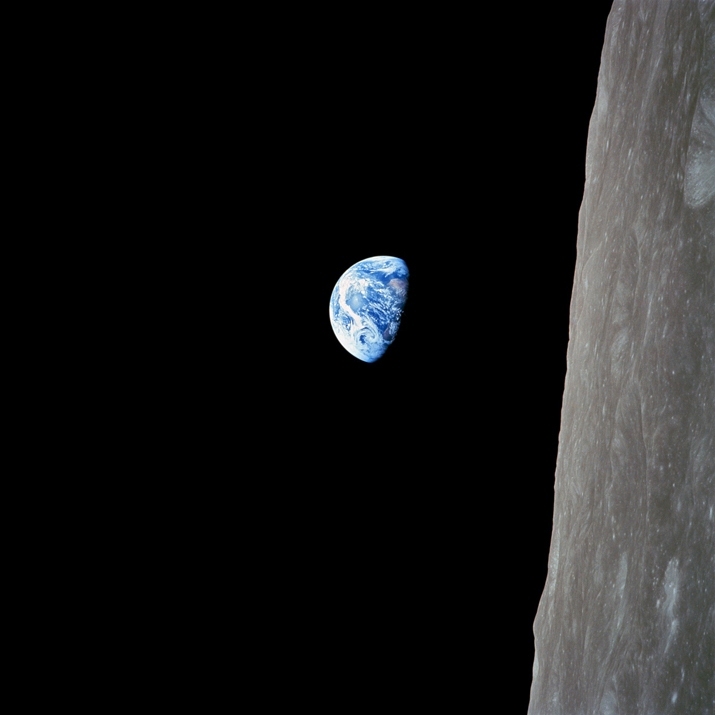 The first-images of 'home' delivered in the late 1960s begin a new awareness of humanity's place on a singular planet, a "fragile" blue-green planet. Astronauts frequently spoke of their experience looking back at Earth as life altering. Perhaps as time goes on, new immersive and virtual reality technologies will bring an approximation of an astronaut's point of view. Perhaps the realization's 'Above' will begin to change the old ways, the tribal ways, the walls of nationalism, conflict and war and shift to a new vision, a perspective that values all of us as planet citizens. "Decades have past now since experiencing the visual wonder of those first visions of our Whole Earth, Planet Earth and still we are only beginning our journey as planet citizens...."
A coming era of #Earth360 exploration, using the tools of the digital age and Internet connectivity, is making it possible to see a connected, whole Planet Earth and to begin studying life-enabling systems (and life-threatening changes) as with means never before possible. Space- and earth-based observation platforms are delivering "intelligence reports" in effect, strategic insights that can broaden our knowledge and perceptions of who we are and how we respond to our global, common future. In unprecedented ways, intelligence about our planet's systems can be shared and networked via the worldwide web and larger Internet linking us whatever our nation and wherever our community. We look out at a critical, developing field of #EnvironmentalSecurity and "New Definitions of National Security". 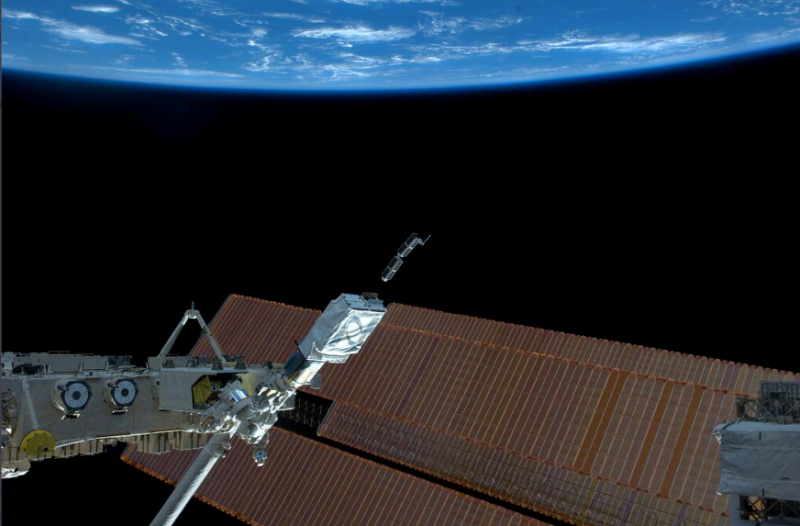 Planet Labs 'Democratizes' Space & Earth Science applications with Open-source planet data for the digital era. 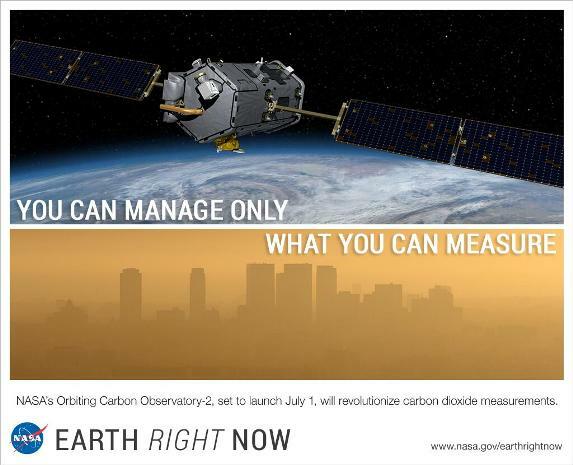 Although the Orbiting Carbon Observatory is just the beginning, the future of #earthobserving is here as we see in new ways and observe our environment with new information never before accessible. Space-imaging is opening up amazing views, with 3D and big-screens and home theaters. Coming soon will be views beyond IMAX as companies like Virgin and SpaceX carry citizen travelers into orbit. Educational and scientific information about our communities is being shared, and linked to, and distributed around the Net. From space, the earth is borderless and with vision of the planet as a common #biosphere and #ecosystem comes responsibility for our shared security. 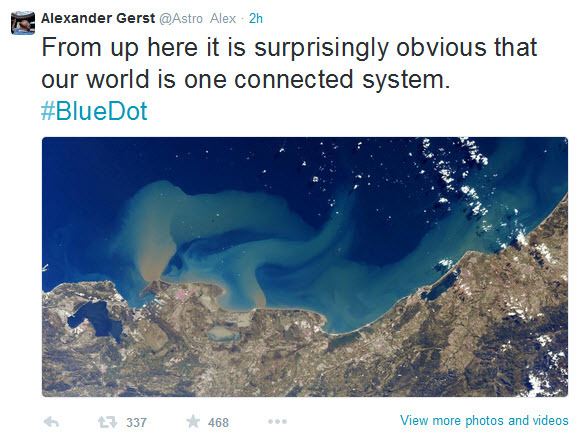 Earth Science Research from Space! Onto first steps... We are all connected and wherever we are, geographically, nationally, we share a common ground. Let's look at our home and with an 'overview' from space, see the 'Big Picture' and let's look at the details, let's manage and sustain our earth resources and, as we go, look to our shared quality of life onboard the "only home we've ever known." The world of space is a world in flux. The term "New Space" has come to represent a first generation of start ups that are designing, building and launching small, mini- and micro-satellites. New players are challenging the old system of governments that spend billions to explore, commercialize and militarize space. Barriers to entry are being broken and start-up companies are launching flocks of satellite birds into space. Earth monitoring is going planetary and nextgen companies are at the forefront, even as the "old" establishment is shifting to address threats to the environment. Let's go there to this new world, not a 'new world order' but a world that is being connected and is sharing, linking and seeing the bigger picture. The way we observe and 'feel' about our planet is changing in one generation. Earth Mapping / Virtual Earth! 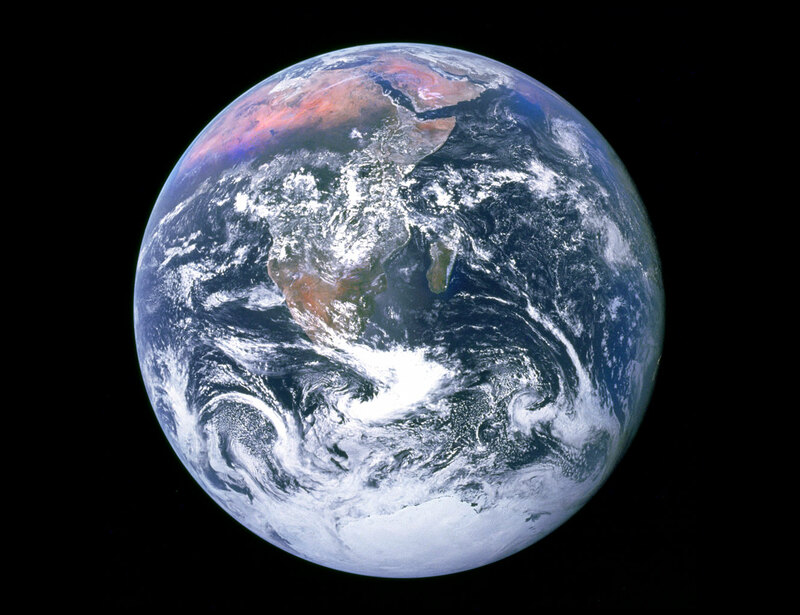 Beginning with the first Whole Earth pictures, we have for the first time in humankind's history experienced a vision of our planet from afar -- we are, we realize, a living planet, an oasis in space. 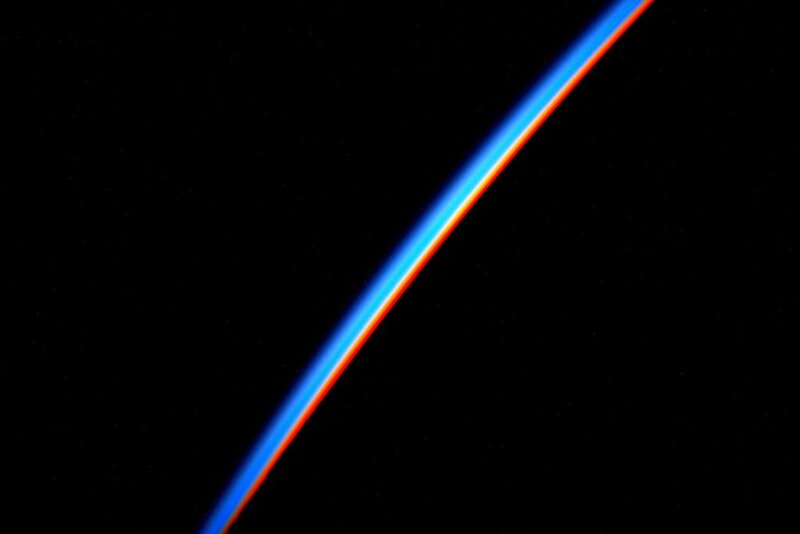 Today, forty+ years after the Apollo mission's revealing images of blue #planetearth, "citizens of the planet" are becoming a "New Space" generation with mini-sats sending and sharing full-spectrum imaging with a life-altering array of new views of our planet. Apollo's famous iconic images are being enhanced and extended with new ways of seeing and experiencing of our planet -- and opening new possibilities to secure our environment for ages to come. Join up with GreenPolicy360 and our GreenLinks network. Choose to act. Time to get going -- planet citizens @work! This page was last modified on 13 March 2019, at 00:17.